I have just returned from a visit to an exciting new photographic reserve in South Africa called "Zimanga". Besides spending time on foot with an awesome pack of African Wild Dogs and a relaxed male cheetah, the reserve also boasts some new established and in-progress specialist photography hides, built in consultation with Bence Mate from Hungary. Zimanga is situated close to Mkuze in the northern corner of Kwazulu-Natal, a veritable birders' hotspot. 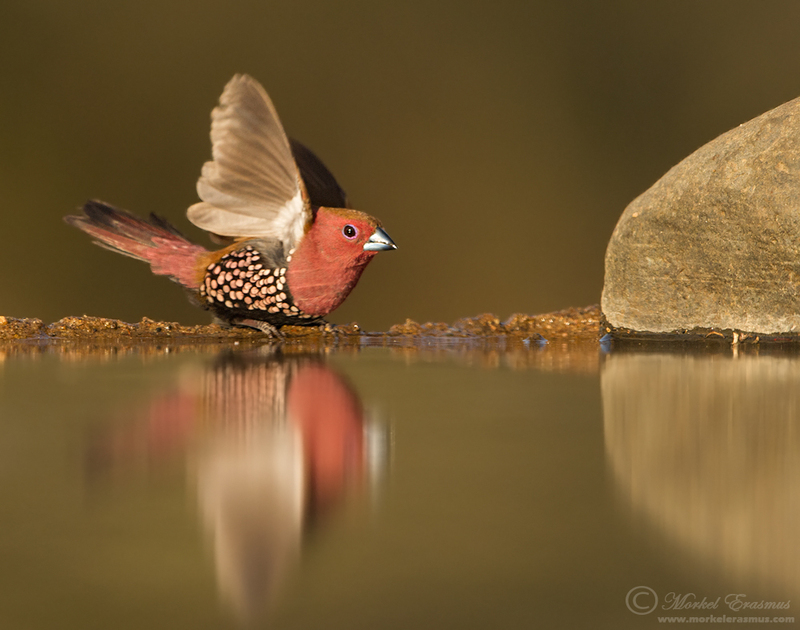 This Pink-throated Twinspot was photographed from one of these hides. It's a bird not often seen in the open as it prefers dense woodland areas, and it also is only found in the northern corners of Kwazulu-Natal (South Africa), Swaziland and Mozambique. More species info can be found HERE.